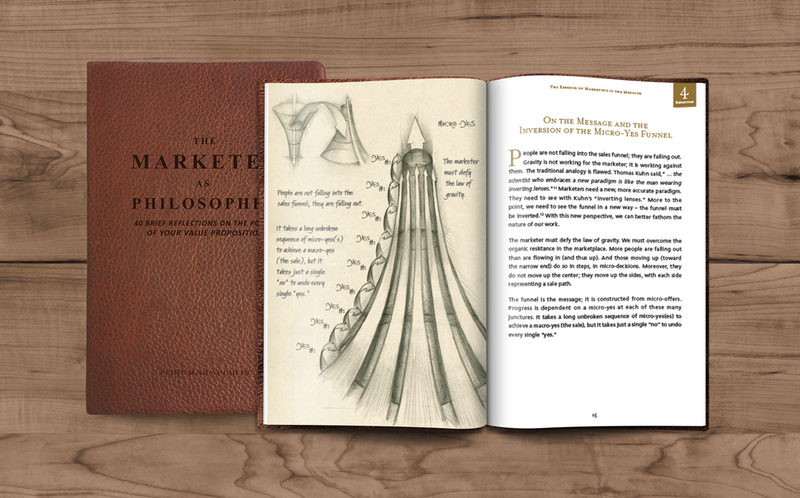 After twenty-five years of asking "why" to a single question and testing his hypotheses using the web as a living laboratory, McGlaughlin has released a collection of his findings. 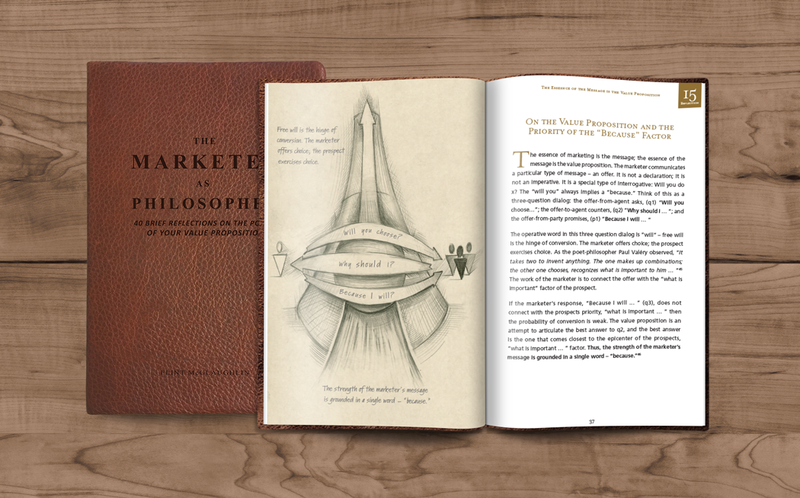 These 40 brief reflections unfold in a series of layers that suggest a new framework and theory of messaging. 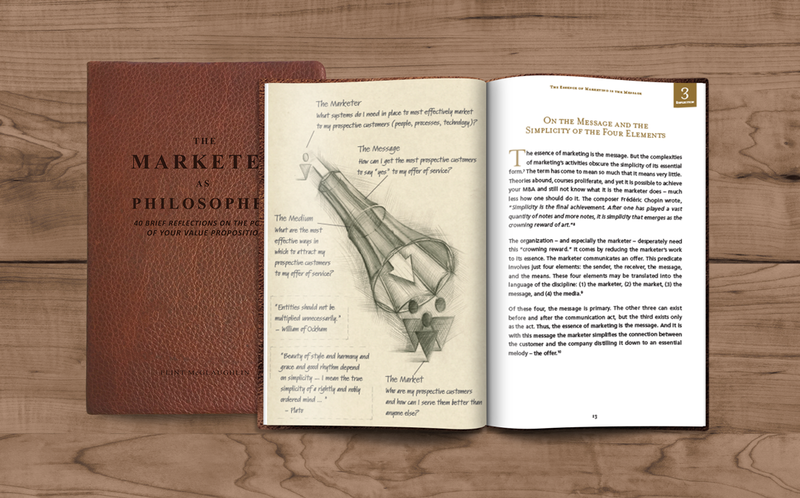 To get The Marketer as Philosopher excerpts right now, simply fill out the form below, and we’ll send you an email with a link to instantly download your copy. 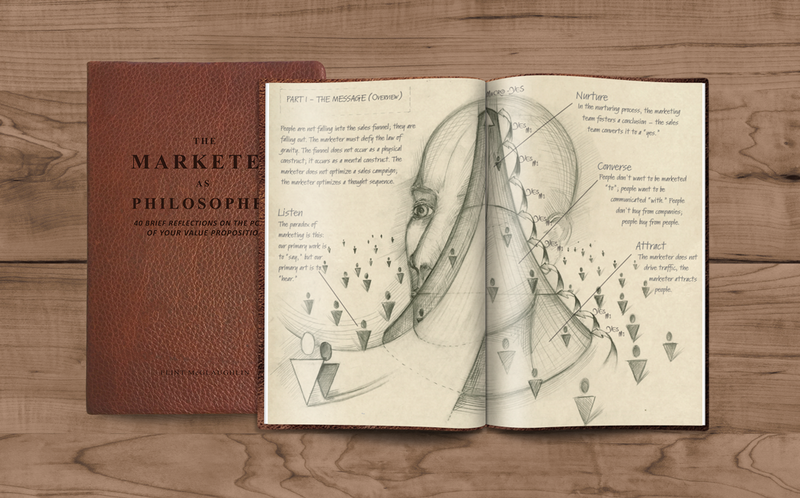 You can purchase the entire leather-bound, signed and numbered copy of The Marketer as Philosopher here.